Sleeping Beauty & Other Lot (Buena Vista, R-1986). One Sheets (2) (27" X 41"). Animation. Starring the voices of Mary Costa, Bill Shirley, Eleanor Audley, Verna Felton, Barbara Luddy, Barbara Jo Allen, Taylor Holmes, Bill Thompson, Marvin Miller. Directed by Clyde Geronimi. A Walt Disney Production. This lot contains one sheets for Sleeping Beauty and Cinderella (Buena Vista, R-1981). 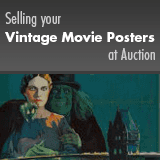 Unrestored posters that appear virtually unused. Closer inspection may reveal one or two minor flaws, such as handling creases, or light edge or fold wear. Please see full-color, enlargeable image below for more details. Folded, Very Fine/Near Mint.